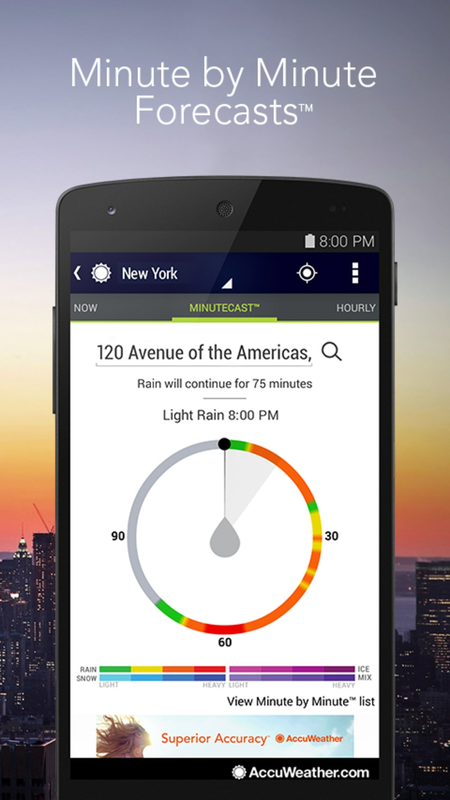 Weather can be unpredictable so it's nice to know if you'll need an umbrella. 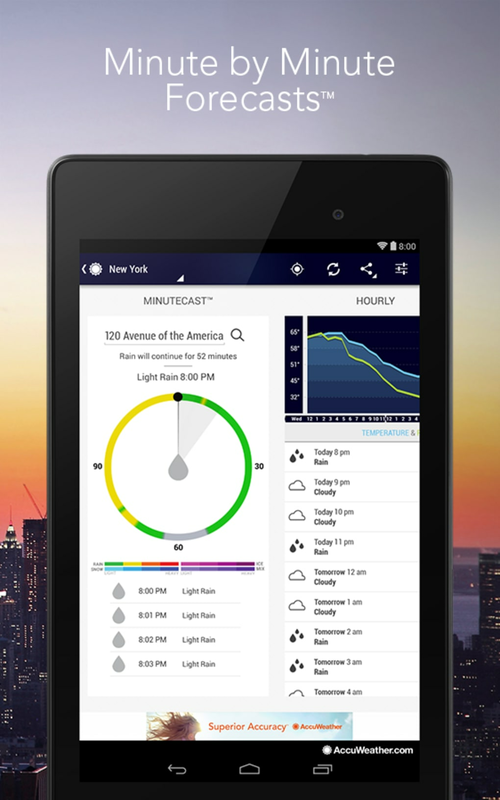 While most phones come with a default weather app, AccuWeather provides more detailed information to help you plan you day or week. Here's why it's great. 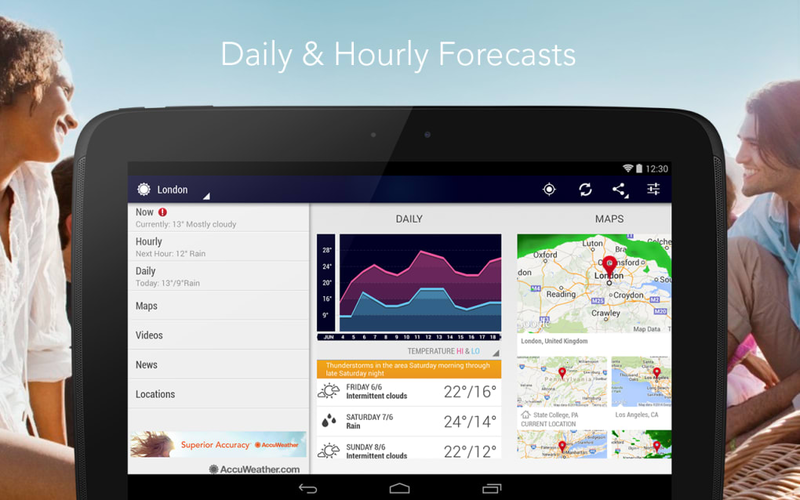 AccuWeather for Android provides you with as much information about the weather as possible. The sheer amount of information available is overwhelming at times but it does help you plan better. 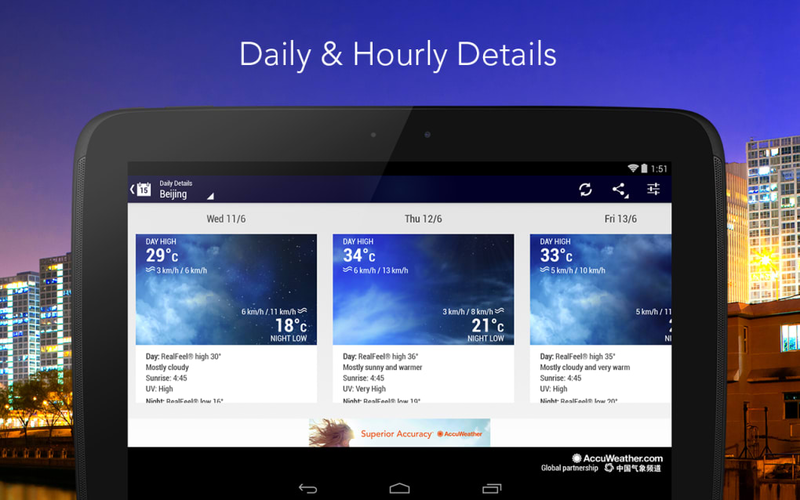 If you just want the hourly, daily, and weekly forecast, AccuWeather can do that. 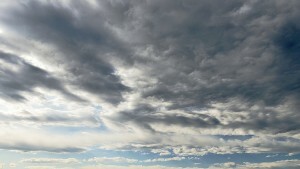 If you want to see the humidity, wind speed, barometric pressure, and more, it can also give you that information. 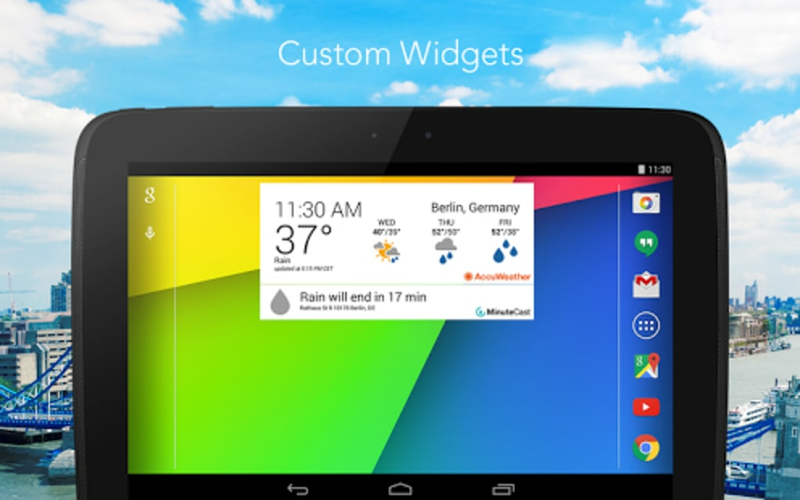 On Android, you have a choice of several widgets for quickly glancing at weather information without opening the app. 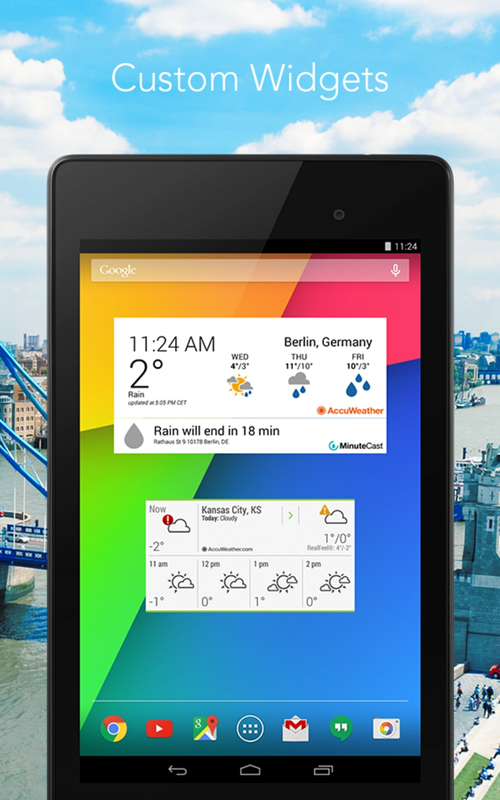 You can also enable a persistent notification in your notification drawer for even faster access to weather info. 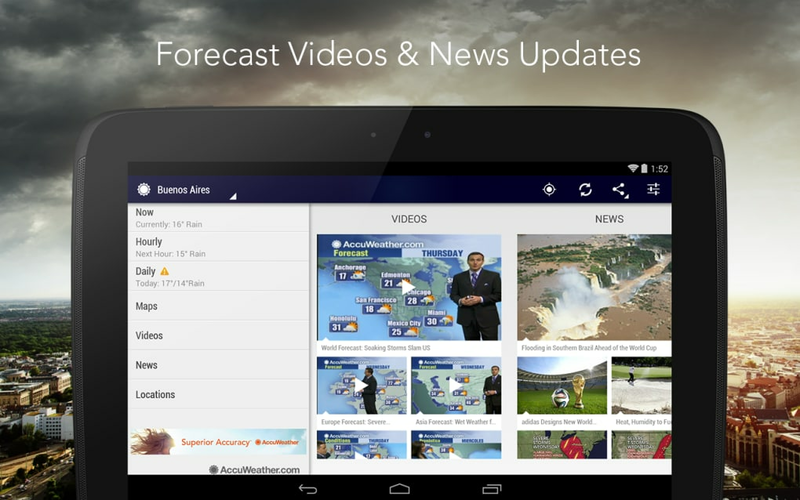 If you let it, AccuWeather can also send you severe weather warnings about strong winds, fog, flooding, and more. 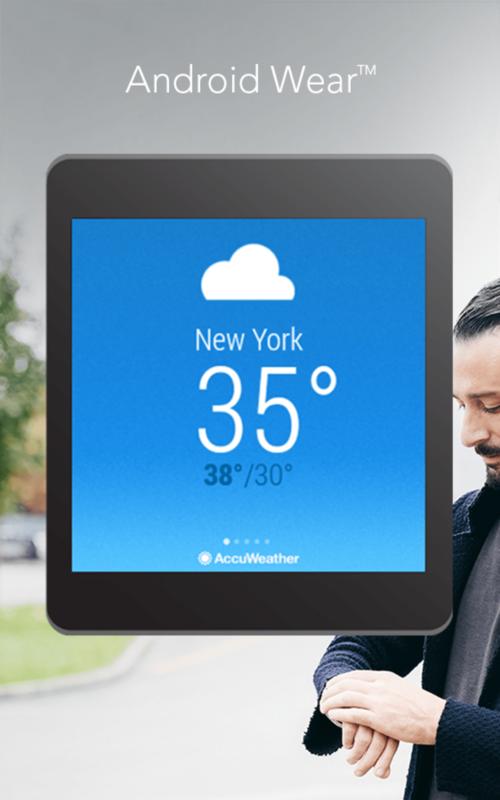 AccuWeather's design has not changed in a long time. It's not to say it's bad but it can be improved upon. 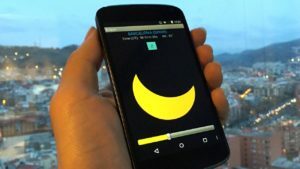 One of the biggest gripes is how finicky swiping behaves. The app exhibits some lag going between pages. Alternatively, you can tap on the back/sun icon at the top left to show a list of sections to access the one you want. It's a bit unintuitive to press the back button to open up the side menu. However, switching cities is a breeze with a dropdown menu at the top. 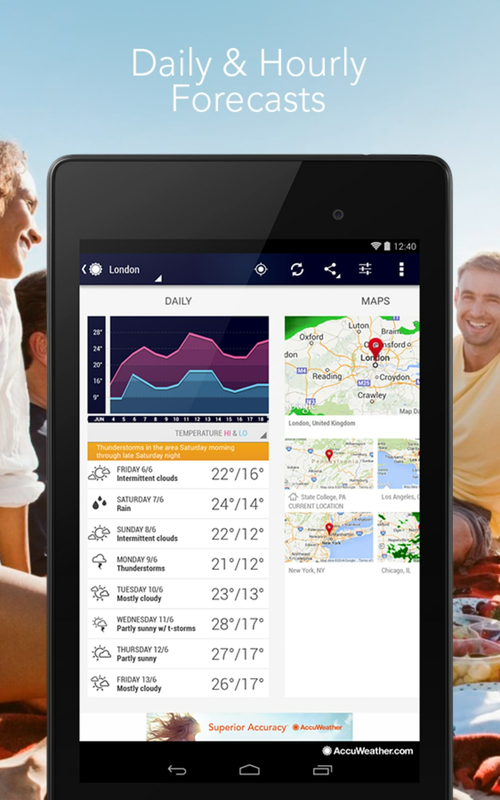 There's also a "current location" button at the top to force the app to look up weather information for where you are at the moment. 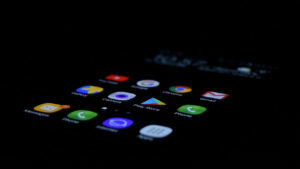 Overall, the design needs to be updated with Google's new Material Design guidelines to make the app function better and for a modern look. 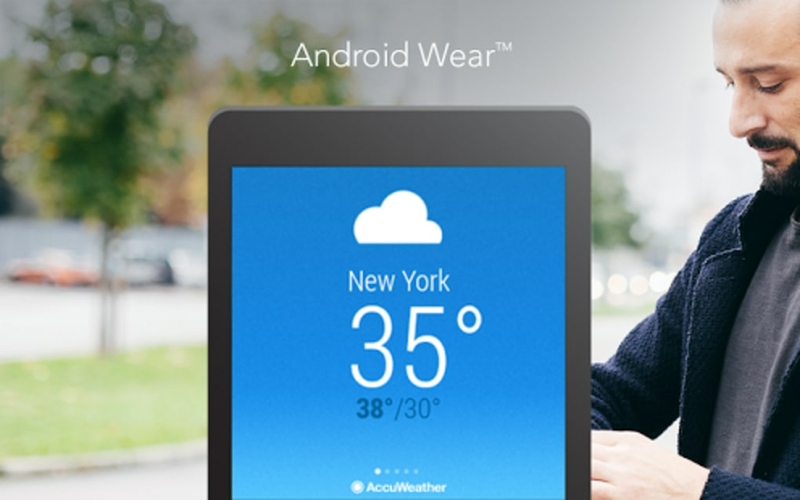 Although AccuWeather has some quirks, it doesn't stop it from being one of the best weather apps out there. 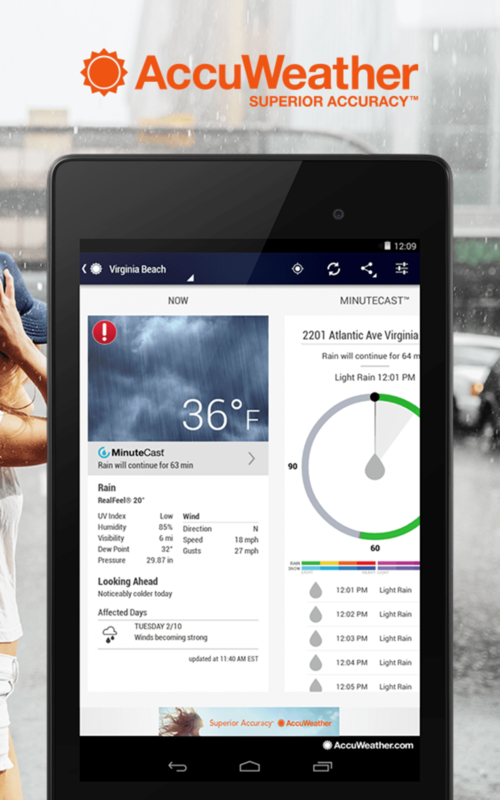 There's a ton of information in the app and it does help you judge whether or not you're going to need a coat or an umbrella. 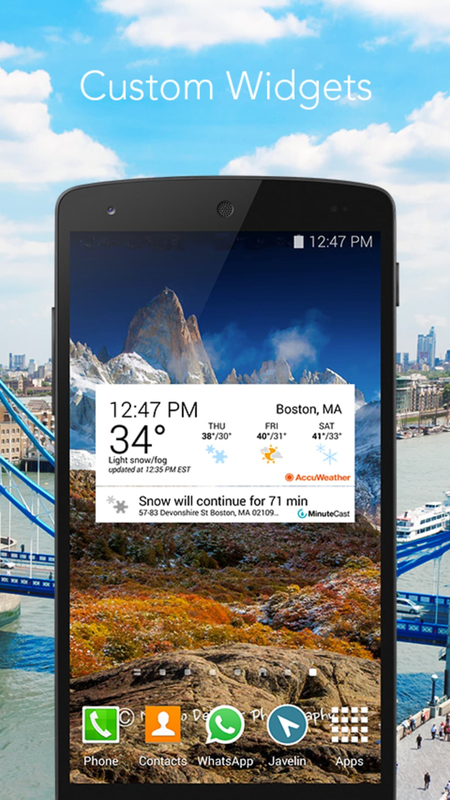 In terms of accuracy, I found AccuWeather much more accurate than the standard weather app included in Google Now, which gets its weather data from Weather.com. 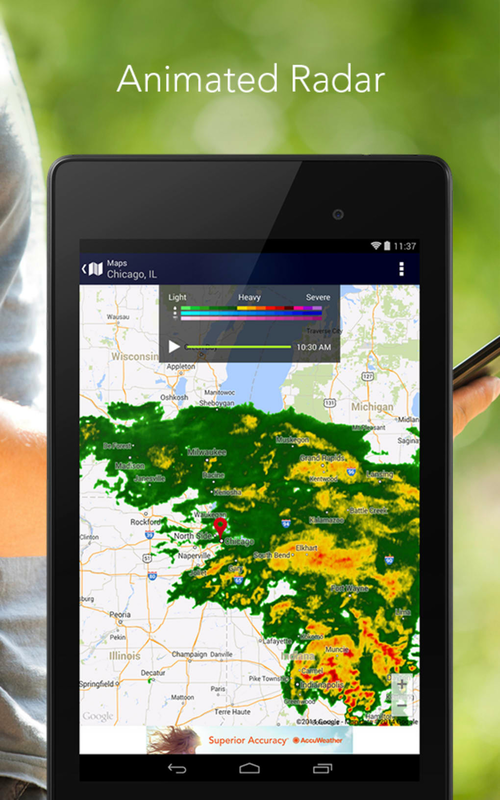 Bug fixes and optimization Fixed Notification Center update issues Improved layout for 7" MDPI tablets Download the free AccuWeather for Android app today and start using the most accurate and current weather information available from anywhere and at anytime! A fastand rigid way to keep track of the weather wherever on Earth.. Few month ago i have downloaded accuweather on my phone it works well but not that much good i aspects from these types of software. It indicates the real time conditions &amp; the heat in fahrenheit or centigrade, depending on the liking. 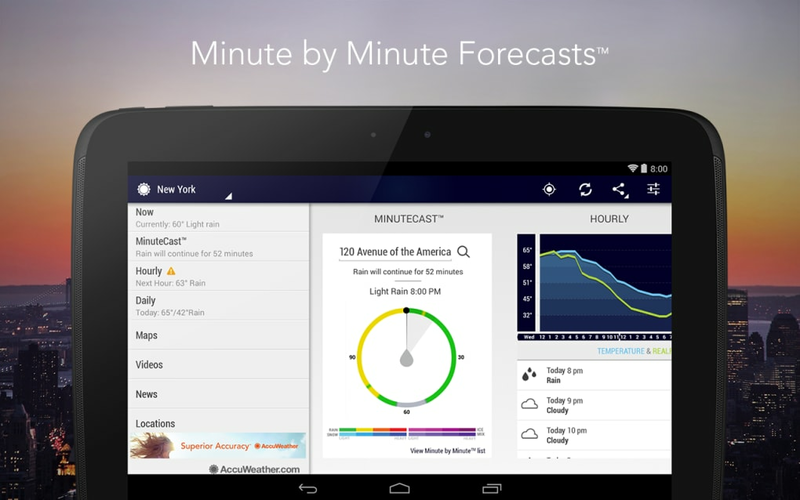 Download this weather android app from from cnet &amp; softmozer like sites. 1. Extract output from portly database of places. 2. &amp;amp;lt;a href=&amp;amp;quot;http://www.softmozer.com/blackberry&amp;amp;quot;&amp;amp;gt;BlackBerry Apps&amp;amp;lt;/a&amp;amp;gt; with eye catching interface. 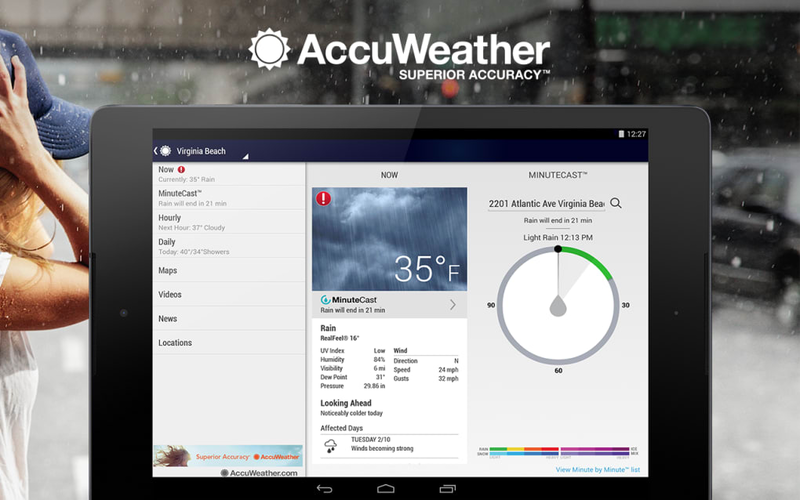 Accuweather issue. 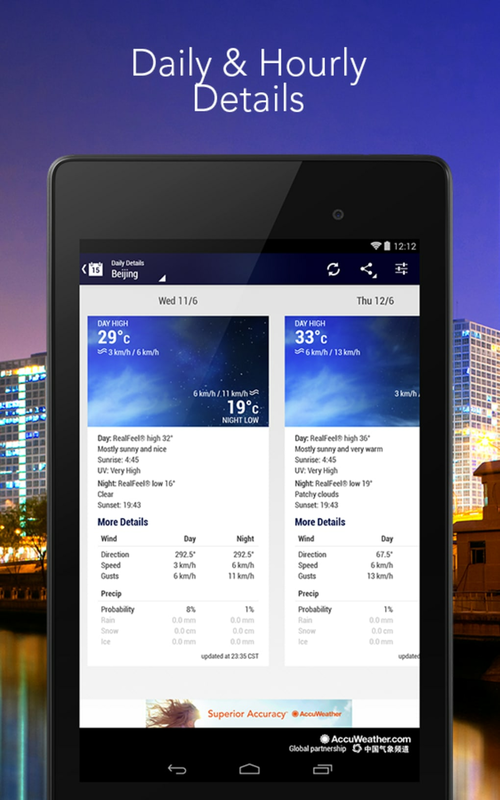 I am currently using Accuweather on my Android 2.3.5 Gingerbread samsung galaxy note device. 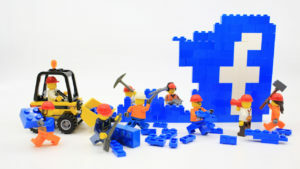 The problem I am having is that the automatic update feature only works if I am connected to a wifi network. I can also only refresh the widget if I am on wifi. When I am on normal mobile data, the auto update doesnt happen, and to refresh the weather date, I have to open the app and refresh it from there. I get a &quot;connection failed&quot; message if I press the refresh button on the widget. 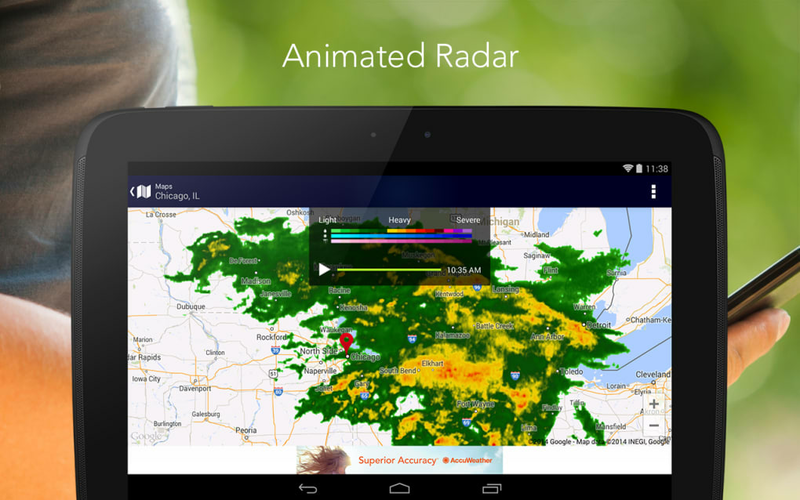 Best weather radar apps: discover, compare, choose! 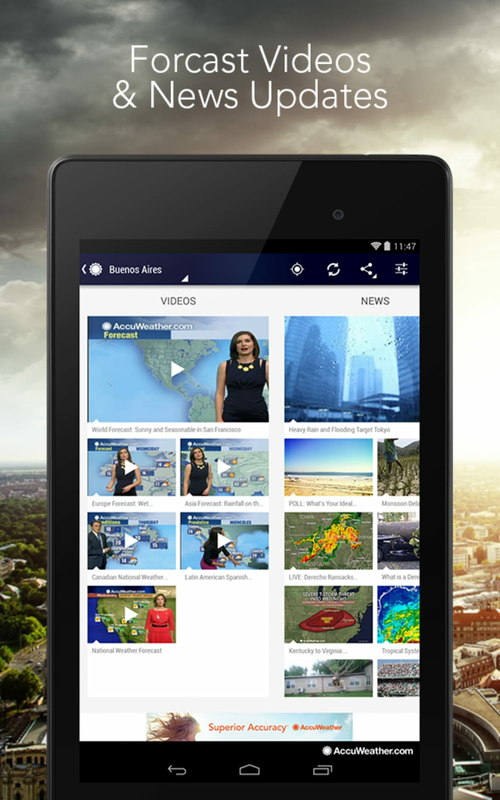 What do you think about AccuWeather? Do you recommend it? Why?